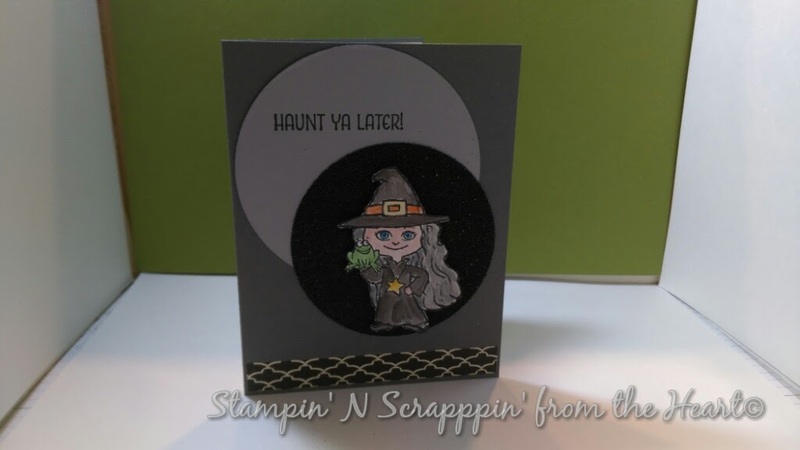 Katrina's Kreative Heart: Haunt Ya Later! Wow, fall has landed in CNY! The air is crisp and the trees are in full color. I have to say, I love the colors of Fall, the reds, the yellows, golds and oranges..all so pretty. I also love to see how others decorate for the season. Some go for the cutesy scarecrow's, while others lean more toward the haunted zombie cemetery lol, all of which is fun to see. I, myself lean toward the cutesy scarecrow look, but today's card comes from the Haunt ya Later stamp set from Stampin' Up! I love this set. It's so dang cute.. Feel free to let me know your thoughts!